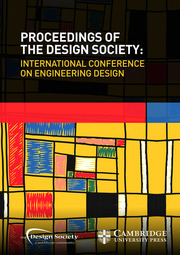 The International Conference in Engineering Design (ICED) is the flagship event hosted by the Design Society. The ICED conference series started in 1981 organized by the Workshop Design Konstruktion (WDK) group and continued by the Design Society since its founding in 2000 as a successor to WDK. ICED is a biennial event bringing together design engineers, scientists, and practitioners presenting new design research, methods, and tools. The conference includes podium and discussion sessions, posters, workshops, social events, and the biennial general meeting of the Design Society members.